Frozen veggies belong in the supermarket, not your garden. Thanks to Urban Cultivator Home, a computer-controlled hydroponic system designed to provide the perfect environment for herb and vegetable growth year-round, you can save your garden from season affective disorder and exercise your green thumb from the comfort of your own home. 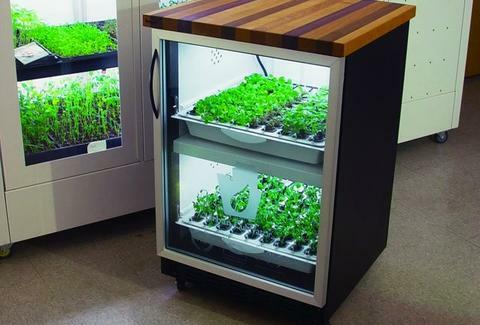 Coming in a variety of finishes and sizes, the Urban Cultivator Home is customizable to perfectly fit your living space. 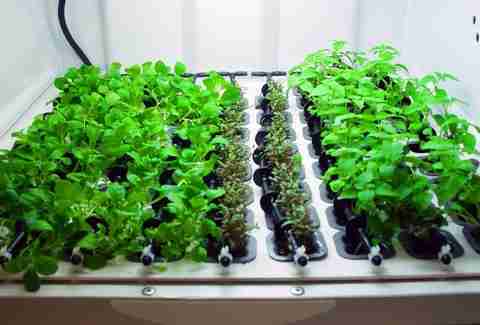 For the lazy gardener, the system is completely automated to maintain watering and light cycles as well as humidity and air circulation, so you can enjoy homegrown goodies without having to lift a finger, or a thumb.